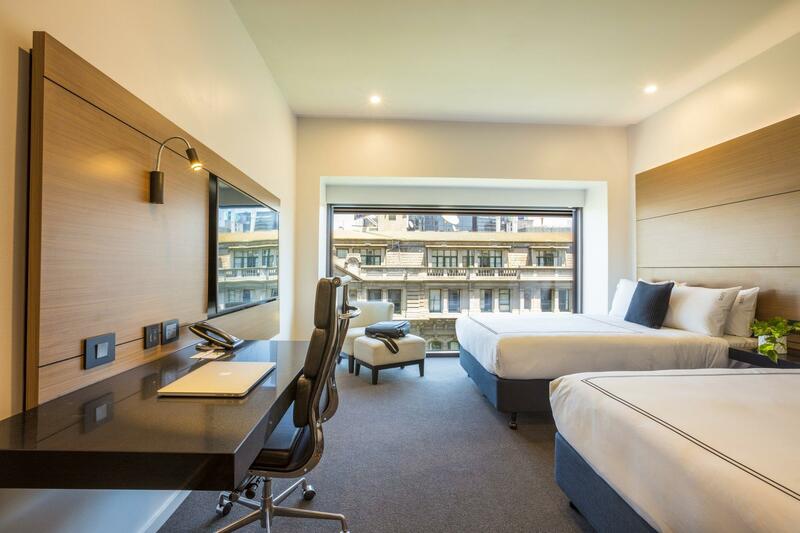 يوفر فندق Holiday Inn Melbourne on Flinders ظروف إقامة راقية وهو خيار رائج للسياح ولرجال الأعمال أيضاً. يقع في منطقة تسوق, سياحة, مطاعم من المدينة. يمكن من هنا للضيوف الاستمتاع بسهولة الوصول إلى كل ما تقدمه هذه المدينة النابضة بالحياة. يقع هذا الفندق الحديث على مسافة قريبة من المعالم السياحية الشهيرة. 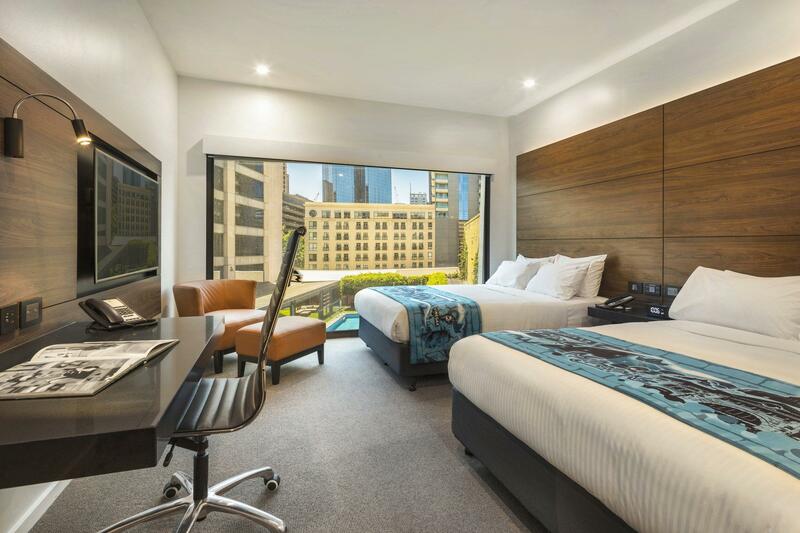 كما يقدم Holiday Inn Melbourne on Flinders الكثير من الخدمات لإغناء رحلتك في المدينة. يقدم هذا الفندق العديد من الخدمات الكفيلة بإرضاء أكثر الضيوف تطلباً. استمتع بوسائل الراحة الراقية في الغرف أثناء إقامتك هنا. بعض الغرف تتضمن تلفزيون بشاشة مسطحة, اتصال لاسلكي بالإنترنت, غرف لغير المدخنين, مكيف هواء, تدفئة لمساعدتك على استعادة طاقتك بعد يوم طويل. كما أن مجموعة الخدمات الواسعة الموجودة في الفندق لضمان راحتك تترك لك الكثير من الخيارات لقضاء وقتك أثناء فترة إقامتك. 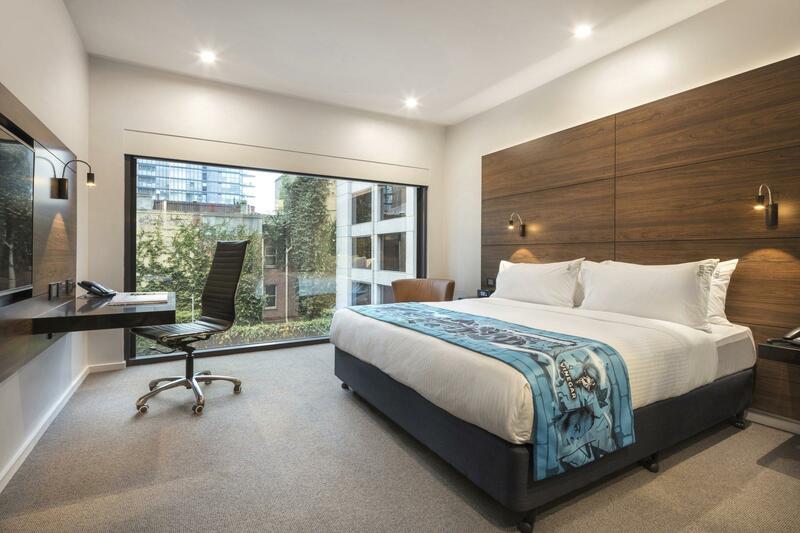 إن كنت تتطلع إلى إقامة مريحة وهادئة في المدينة، فستجد في Holiday Inn Melbourne on Flinders بيتك الثاني. 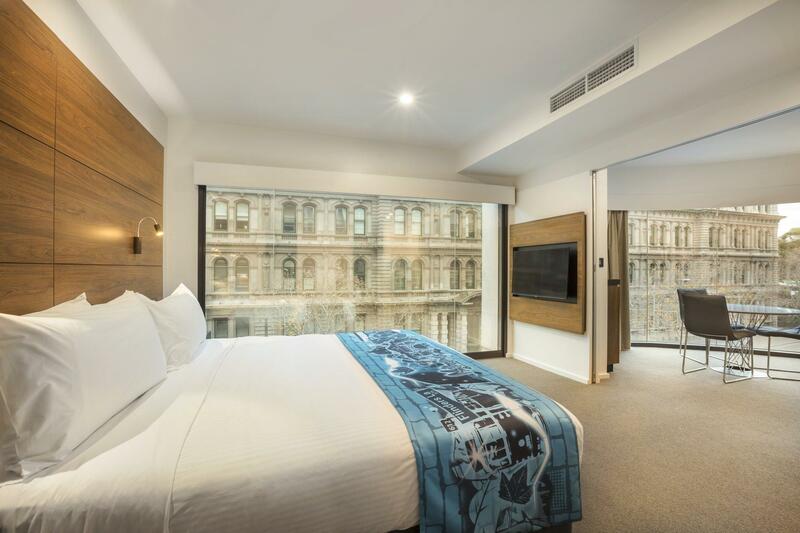 Hotel is located in the heart of CBD, a short 5mins walk to Southern Cross Station and also the trams in the free-tram zone. 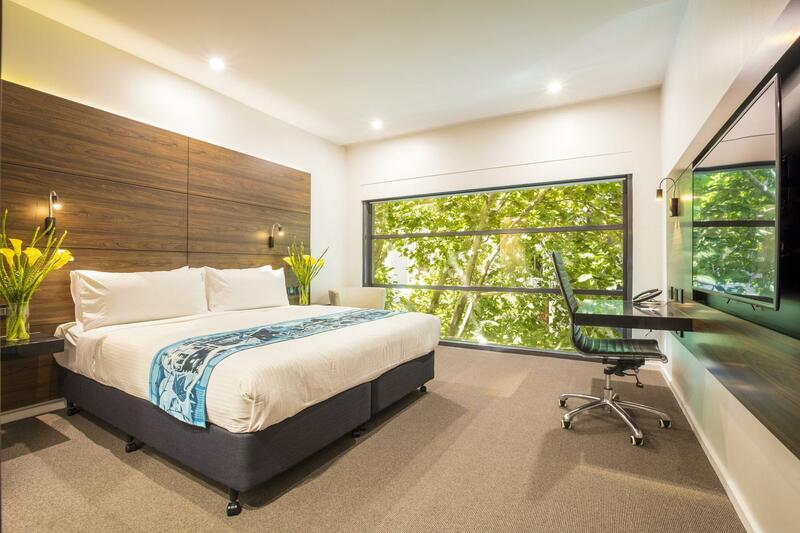 Hotel is recently renovated and is very clean and adequately sized for a couple. Would definitely recommend it. 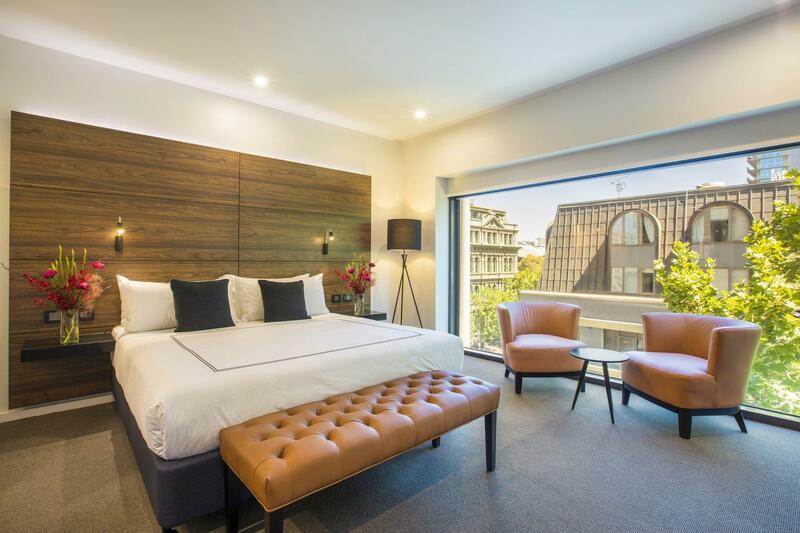 Close to Southern Cross railway station with its easy access to Melbourne airport and right on the edge of the central business district, this is a great location for people wanting to get a good sense of Melbourne. Standard rooms are a good size and minimally decorated, which means no clutter. Excellent, friendly helpful and knowledgeable front desk staff made check-in and out a breeze. Definitely worth a look if you're headed to Melbourne. We have stayed here before and loved it and it seems to just get better and better. From the moment you enter you are treated to friendly smiles and welcoming conversations. The staff have personalities and a sense of humour. The rooms are so clean and fresh and every thing is on point. The city is easily accessed and tram stops are close by to take you anywhere you want to go. The HI membership that gives you 12 noon is a real treat. You never want to leave anyway. I stayed at Holiday Inn with my daughter for 3 nights. The staff were extremely accommodating and we got early check in. The room was big, clean and had comfortable beds and we had housekeeping everyday. The location was terrific. Check out was a breeze and they were happy to hold on to our luggage as we had a late flight. Would definitely recommend and hopefully get to stay again one day. We really enjoyed our stay at holiday inn. Modern design, large room, very clean, bed was also very comfortable with a choice of soft or hard pillows. Washroom was large and all toiletries have been provided. Staff very friendly and helpful. 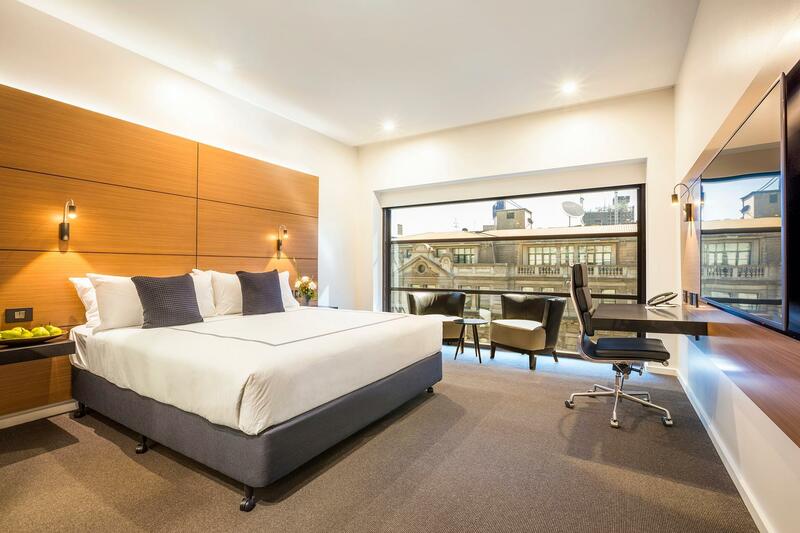 Location is great near the southern cross station. Near the river as well. Walkable distance to most of the city centre attractions and restaurants. Also in the free tram zone! Highly recommended! The hotel is currently undergoing a renovation which I think was why it was priced lower than usual.. it is not invasive, but the dust from the renovations is clearly evident, especially when the lift door opens..
Close to Southern Cross railway station with its easy access to Melbourne airport and right on the edge of the central business district, this is a great location for people wanting to get a good sense of Melbourne. Standard rooms are a good size and minimally decorated, which means no clutter. I had a view of the courtyard with swimming pool, which looks good (too cold for me to enter the water) and the room was quiet and comfortable. Excellent, friendly helpful and knowledgeable front desk staff made check-in and out a breeze. Definitely worth a look if you're headed to Melbourne. Nice hotel in the heart of Melbourne walking distance to all public transport and nearby tourist attractions room comfortable and large, only minor problem house keeping could be better, failed to supply new rolls of toilet paper had to request twice and also some serious body odour after house keeping made up our room. Apart from those minor problems i would recommend and stay again if in Melbourne. Excellent Service and accommodation. Staff were great. 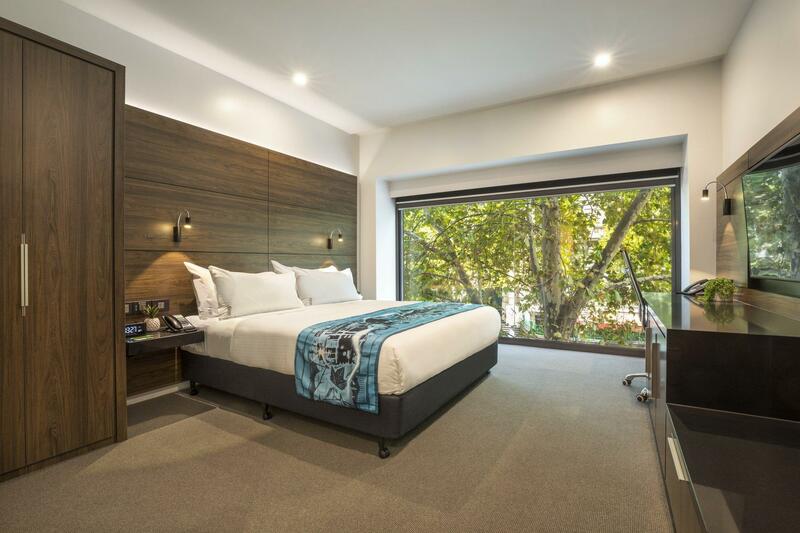 The hotel is located in a super convenient location easy to find, very close to the river, restaurants and public transport. Apart from good rooms and facilities, I am particularly impressed by the friendliness of the staff, who are sunny, committed, and extremely helpful. Dave, the guy on duty, helped me confirmed my day tour very late in the evening for the next morning. He printed out the confirmation and send to door. 4 stars hotel... very nice room comfort bed... during our check in.The staff saw I have 2 young kids...even give them each a colour pencil set... it make me feel warm and welcome when we just reach Melbourne. The breakfast was very nice even a few options. The location is good pretty close to everything and in the free tram zone, just a few block to the dowtown. And especially, I checked in very early about 8 am and I can have my room immediatly without paying extra, I really appreciate it. Just one thing, they dont have free wifi, and free wifi is very popular in Asia countries right now, so I think they should change this policy. Overall, thank you very much for the service during my holiday! Modern and clean, the bathrooms need to be renovated (dated shower, mould on the shower/bath walls.) The bed bases and curtains were dirty and ripped( at first sight not noticeable), bad television reception. Overall, it was a great spot, it was modern, the staff were lovely and helpful and the food was nice. The pool was not heated so we weren't able to swim. I'd recommend it as affordable accomodation for families. We stayed there for 3 nights., room and bed was clean and comfortable. Staff was really friendly and helpful. But they dont provide any complementary water that shocked us and we need to go out to buy water which location is not as convenient. It was quiet at night. Of course we can boil but it will take some tine to cool. But on our last 2days at reception we saw bottles of mineral water. Not sure is it only for certain guest since reception said tap water is save to drink . anyway we dont bother to ask. 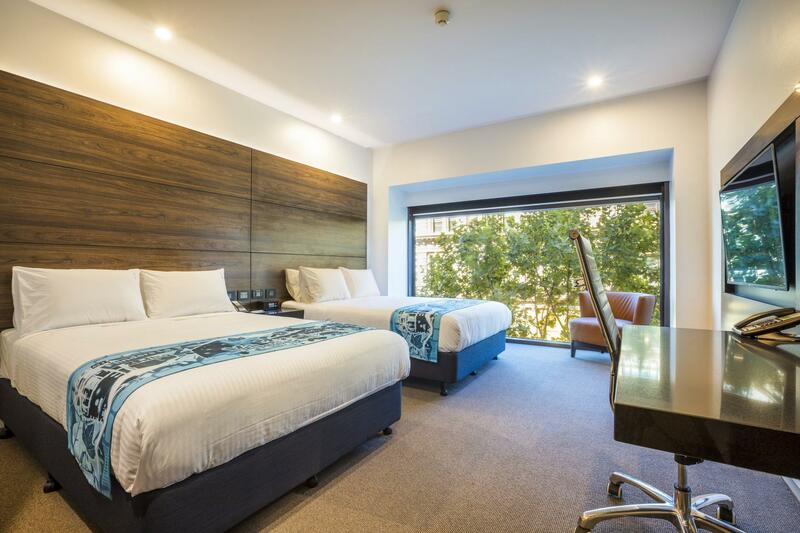 Located in central Melbourne, close to public transport, major supermarket and 7-11. Room was clean, bathroom + bathtub looks old. Interior needs refurbishment to live up to the standard of a 4star international flagship. All of our basic needs were met during our stay. The location was very central to most things - Etihad stadium, the Crown complex, Aquarium, DFO etc - so we were able to save a lot on parking as we were able to walk to most places. Hotel is a little old but rooms are well furnished , reasonable and well equipped .